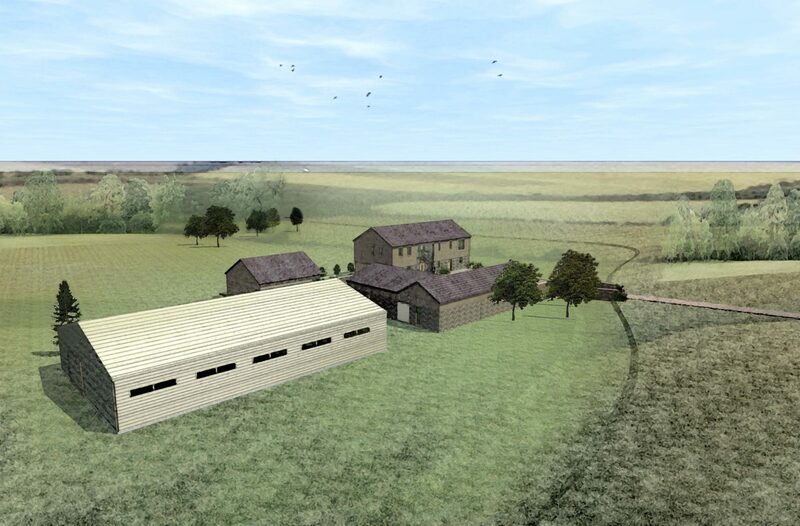 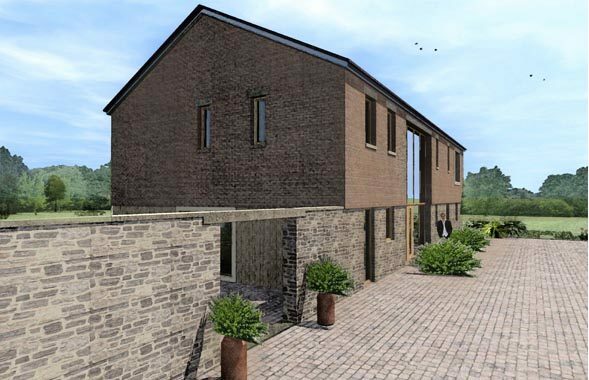 Working with Preston-based planning consultant Nigel Robinson, planning permission was obtained for this replacement dwelling on a site spanning the boundary between Wyre and Preston councils, which also required a change of land use from agricultural to private residential. 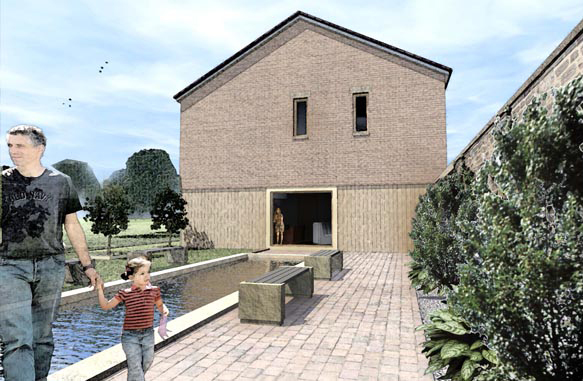 The cluster of outbuildings and garage are unified with a continuous brick wall that together forms a boundary and entrance enclosure. 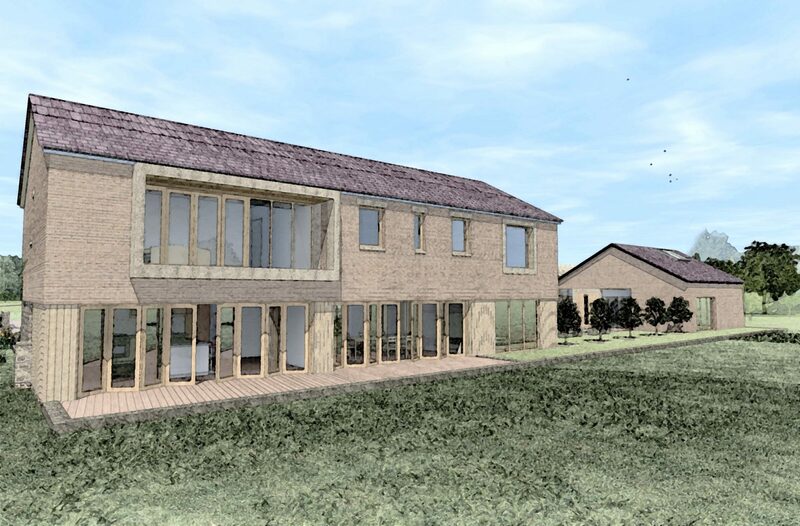 Considering the typology of farm houses in the area, the front of the house continues that language through the use of materials and a large double height entrance. 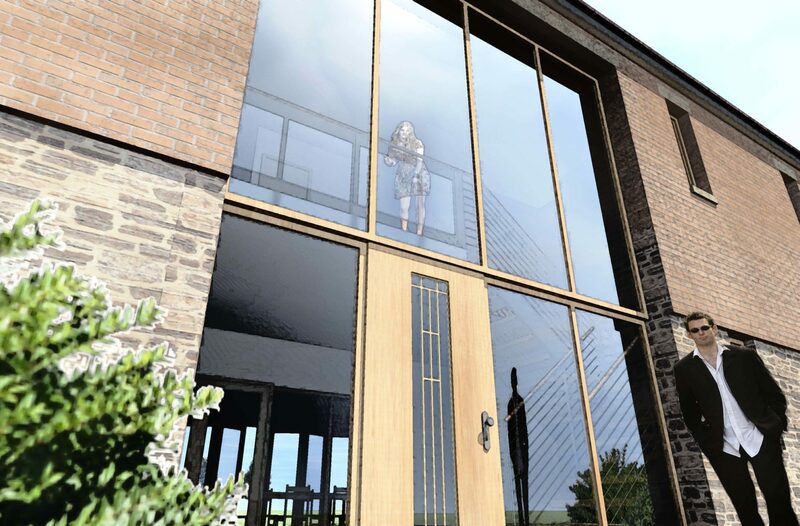 The rear elevation expresses a more contemporary interpretation with the large glazed windows at ground floor that take advantage of the views overlooking the Lancashire countryside.